This page provides an overview of our adventures with a few online resume builder services. The next stop was Resume Bucket We use the Free resume builder and the first thing that we notice is that the builder wants you to declare what your work authorization is. After filling out the first of the 5 pages that are apparently required to fill out we clicked on next repeated times but the fields all cleared and nothing seemed to be submitted. Tavorro is the next service we’ll try. They used to be called ResumeBear. The page tells us to start by signing up for free so we hit the button “start your profile”. When we want to register on the next page we need to make a choice from being a “career professional, employer or educational institution” Although the last option does not even work. the first two seem inappropriate for our purpose as we want to use the site as a job seeker. We choose Career professional and that seems to be their term for job seeker. After validation of the email address we can upload our resume (the one we created with indeed) to their service. The upload failed and the box just sat there telling us it would take several minutes to upload. Even switching browsers didn’t help much and also another pdf resume would not upload so we converted the indeed resume to a word format. This time after hitting the upload button it said “uploading….” for a few seconds and the same box appeared telling us it would take about two minutes to process. After waiting for an extended period of time, we gave up. As this service wasn’t capable to upload our resume, we are not so confident we should invest any more time in it. The next service we’ll try is Resume-now here we can also start with uploading our (indeed) resume. They ask you a couple of question about your level and career field and they ask about special circumstances in your situation, like gaps in your employment or changing career direction before they suggest a template.With uploading the indeed resume the software got confused as it included all the edit buttons and comments like “your resume is not visible” that were included on the indeed resume. So we won’t use that one anymore. When we uploaded the google resume instead, we found out that it skipped the contact details, even the name as a result probably from the fancy google formatting with the name on the sidebar. 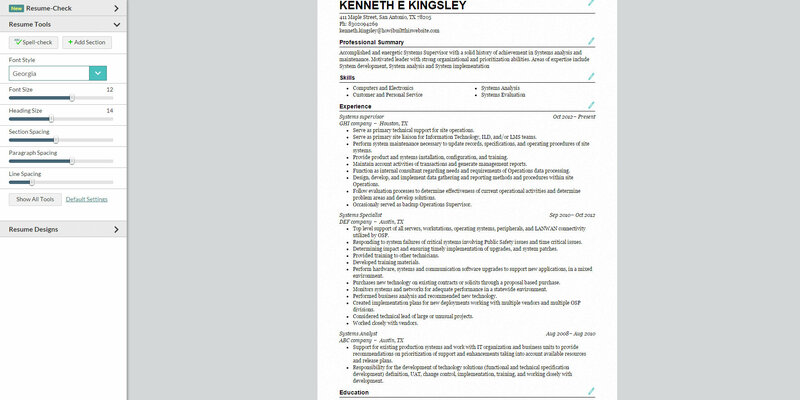 So we ended up using the converted indeed resume in word and that was the best match after upload. The system had great examples of objectives to choose from and also good qualification to add to the resume. The skills section was not accurately imported from the jobs we listed so we edited it a bit. In the section relevant experience we could list, using their examples, statements about our capabilities that would qualify us for the position. ResumeHelp.com was next. 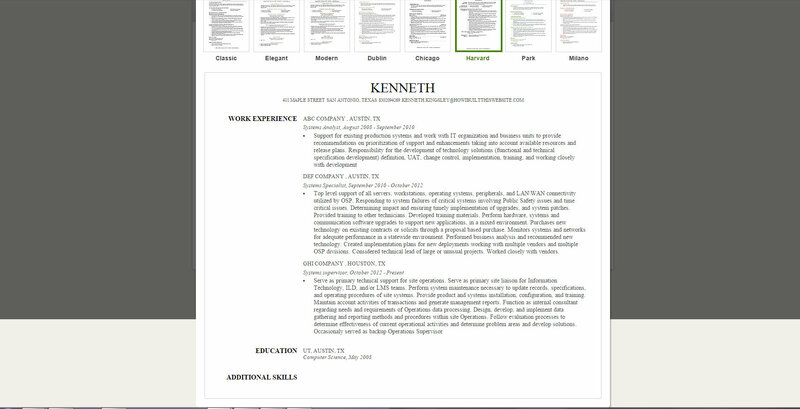 We uploaded the word version of or resumizer resume and that worked pretty well. Smooth process we choose the first template, all of our information was correctly uploaded and after some editing and the addition of a professional summary paragraph with examples provided by the system our resume was ready. As a final step it allowed us to change some formatting like line spacing, paragraph spacing or font. The cost of downloading were the exact same as with Resume-now so it seems these services have a similar background. Basically there are a few companies that have a resume building software and the various sites that offer resume building services are mostly affiliates from these companies. LiveCareer.com is one of the better ones that powers some of the sites above. You can also straight go to their site and work with their other tools, like the career test, cover letter builder or their videos with right and wrong answers to common interview questions. Then there is Pocket Resume, a tool on your smart device to easily create and maintain a resume that you can send to potential employers or recruiters. The app takes care of all formatting and changing the format to pdf. So after basically doing the same or similar software a couple of times, you get the idea. In our view all of these products are fine to get you started and once you have a draft start editing it to ensure it is exactly what you would like. After reviewing it and adding all the information, we are available for a resume critique and re-write suggestions, just contact us.